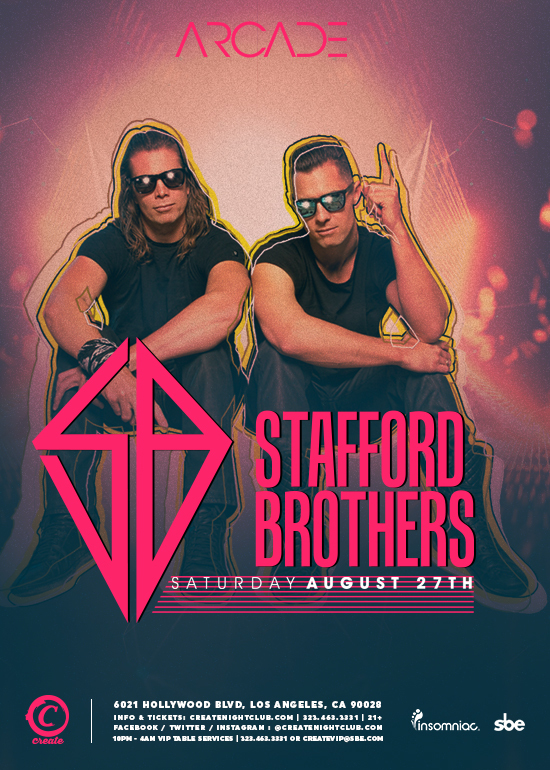 The Stafford Brothers are the hottest Australian export to recently hit the United States. Currently ranked the #1 DJs in their homeland (3 years running, ITM Awards), brothers Matt & Chris Stafford made their way to the West Coast, now residing in the Hollywood Hills of LA. Shortly after they were the first ever electronic act signed to Cash Money Records and released their debut single "Hello" featuring Lil Wayne and Christina Milian this past February. Hello – still in its early stages of Australian release has already hit Double Platinum selling status reaching #4 on the official singles chart and #1 on iTunes (Dance) sitting inside of the top 5 most played tracks on radio this year.